20:10 Just minutes ago MEP Liisa Jaakonsaari (PASD, Finland) announced during a debate on the debt crisis in the EU in the European Parliament that an agreement had been reached among the political forces in Finland to support the bailout programme for Portugal. 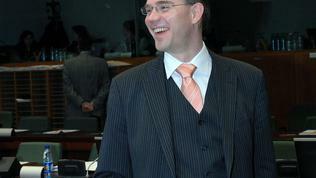 Finland will not impede Portugal on the loan, Ms Jaakonsaari said in the plenary. This is the first official message about the agreement. Finland's decision was expected tensely on the eve of the meeting of EU finance ministers on May 17 when the agreement on Portugal's loan and economic programme are expected to be officially approved. It is expected then the interest rate on its loan to be defined too. During the debate in Parliament, however, Portuguese MEPs raised the issue of the interest rates on loans with the EU to be reduced not only for Portugal but for Greece and Ireland too. Details will follow later on euinside. Before the meeting of the euro area finance ministers on May 16, Finland will be ready with a position on whether to support the bailout for Portugal, Finland's ambassador to Bulgaria Tarja Laitiainen said during a discussion in Sofia, dedicated to the European values in the context of the economic crisis. As euinside wrote, on May 5 the European Commission, the IMF and Lisbon had agreed on the conditions of the 78bn euros loan. The receipt of the loan, however, is under a serious threat after the elections in Finland in April, in which the populist True Finns party won 19% of the votes. Ms Laitiainen explained that the probable next prime minister and incumbent Minister of Finance, Jyrki Katainen, would try and organise this week the responsible parties in Parliament to give him a mandate to support the Portuguese loan at the Ecofin meeting in May 17, where he will attend in his capacity of an outgoing Minister of Finance. 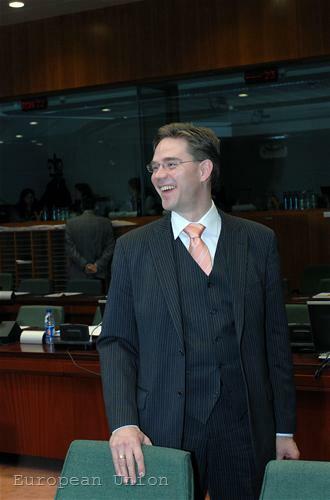 The decision on what should be the position Jyrki Katainen will present to his EU colleagues will be taken by a parliamentary committee, which approves the country's EU positions. Erkki Tuomioja, chairman of the so called Grand Committee announced, quoted by the France Press news agency that a decision on the Ecofin meeting would be taken on Wednesday (May 11) and that then Minister Katainen would be heard then. But according to the agency, in the committee, that consists of MPs from all parliamentary groups, there are disagreements regarding some specifics on the Portuguese proposal. "The first thing we need to agree upon is whether we are ready to approve the Portuguese package and if we are, under what conditions the package should be approved", Kimo Sasi, leader of the working group said. Finland is the only eurozone member state that has to submit to parliamentary support the decisions whether or not to take part in a bailout. In the meantime, Portugal's loan will be debated in the European Parliament later today with the Council and the Commission. euinside will follow the debate which will be in the framework of a broader discussion on the euro area debt crisis. 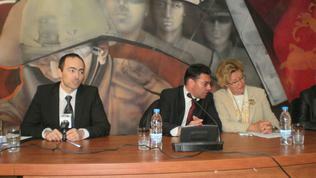 In Sofia Ms Laitiainen also explained that the True Finns were neither extreme right, nor extreme left. In her words, they are extreme populists, who listen to the voice of the man on the street and are not capable of taking responsibility. She deems that the reason why a populist party has won the elections in Finland is the Greek crisis. Ms Laitiainen added that the populist had won basically with the question - "Do you agree to pay for the Greeks to sit and drink coffee with your money?" Greece's problems again topped the European agenda since it became clear that on Friday there was a secret meeting of the four biggest euro area members with the European Commission and the European Central Bank, with a main topic - a possible change of the Greek bailout and an additional financing. Officially everyone is denying the option of a Greek debt restructuring. In the meantime the credit rating agency Standard & Poor's announced that it reduced Greece's rating by another two points, thus reaching the level for default. Against this backdrop, though, given the problems of Greece and Portugal, for now the third bailout country - Ireland - seems to be in a better position after an information leaked that the interest rate on the Irish bailout will after all be reduced by 1% during the Eurogroup meeting on May 16.